"ActivePipe saves us hours. Literally." How long have you been on ActivePipe for? 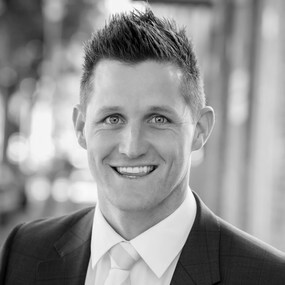 We were one of the first offices to get on board when Ray White took on ActivePipe. Our training was back in April 2016. This really helps us with our attendance numbers and sells the property. What are your favourite features of the product? Getting people to the OFIs is the first big help but we also love ‘Potential Sellers’ and ‘New Geo- Conversions’. Our favourite is ‘Profile Updates’. We know for instance, that if someone is an ‘Investor’ we can hand it straight over to our BDM, who’s our investment specialist. He can take care of them straight away and hopefully turn it into a property management referral, which means more business coming in. In terms of efficiency and time management, how has AP changed how you operate in your daily business? It saves us hours. Literally, a lot of hours of calling everyone back. My aim at OFIs is to collect a minimum of 90% of emails from attendees but before ActivePipe, I didn’t really care to be honest. Now that I’m aiming for that 90%, it’s probably why I’ve received 17 appraisals. It’s because I’m building my ActivePipe database. How Important Do You Think Embracing Technology Like ActivePipe is for the Future of Real Estate? 100%. We are at the forefront of doing that and I think it’s been one of the biggest changes to my business. I can’t imagine life without it. How would you describe ActivePipe to other agents who aren’t with the system but who are considering giving it a go? I wouldn’t tell them about it. It’s a secret.